Is Driving With Your Pet Safe? You are here: Home / Car Accident / Is Driving With Your Pet Safe? Stay safe and keep your pet safe too. Have them properly secured and restrained at all times when you travel by car. 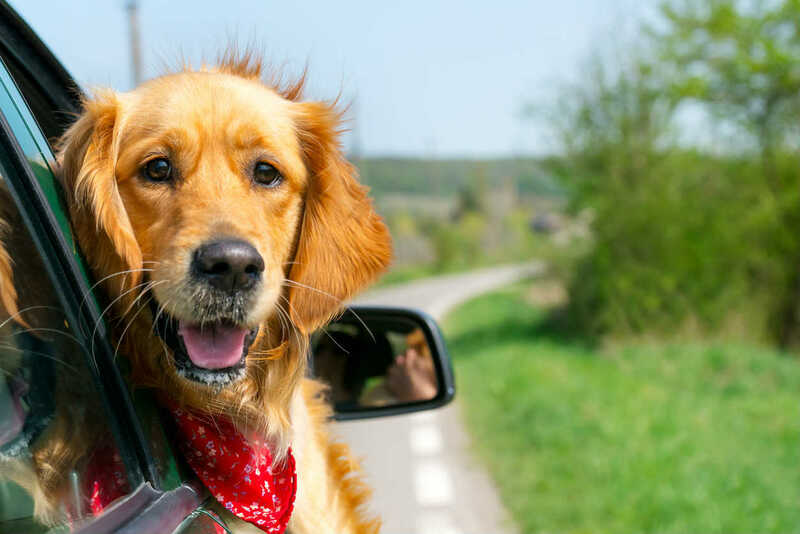 60 percent of dog owners say they have traveled in their vehicle with their pet. The problem is, when a pet is not restrained, you can easily be distracted by them. Furthermore, research tells us that 50% of people pet their dog while driving, 25% of drivers will hold their pets when we are braking and around 17% of will have their pets in their lap while they are driving. The problem is that pets can be unpredictable. They can behave differently in a vehicle, especially if they’re not used to it. Your pet could cry and distract you or they may be startled and move suddenly, perhaps blocking your view of the road. Your pet may tread on the accelerator or brake, or could prevent you from doing so. This too can be very dangerous. If you were involved in an accident, an unrestrained pet could get free from the vehicle. Your pet could be hurt and could also cause a further accident. Our St Louis car crash attorney reports that animals on a busy road often cause large pile ups. This could also happen on a hot day if you have the window open and your pet is not restrained. They could jump out of the window. Do the best you can for your pet by making sure they are sufficiently restrained in the car. You can buy harnesses for all dogs, just ask your car dealer to recommend a good dog harness for your model of car. Smaller dogs can be kept in a pet basket that can itself be secured to the car. For larger dogs, put them in the back of the car with a sturdy barrier between them and the rest of the car. This will stop your pet from becoming a projectile in a crash. You don’t have any legal obligation to secure your dog in your vehicle. However, our St Louis accident lawyer explains that you can be charged with distracted driving if it is found that you caused an accident due to being distracted by your pet. Stay safe and keep your pet safe too. Have them properly secured and restrained at all times when you travel by car. You should also decide if it’s entirely necessary to have your pet in the car with you. It really is safer all round to leave them at home whenever possible. Involved in a St. Louis Car Accident? Call The Hoffmann Law Firm, L.L.C. 24/7 at (314) 361-4242 for a free case evaluation.